One of the things I like about growing a garden is that nothing every remains the same. Each week, different things come into their season, grow, wilt (! ), produce fruit or bloom. Here are some of this week’s cheery surprises. 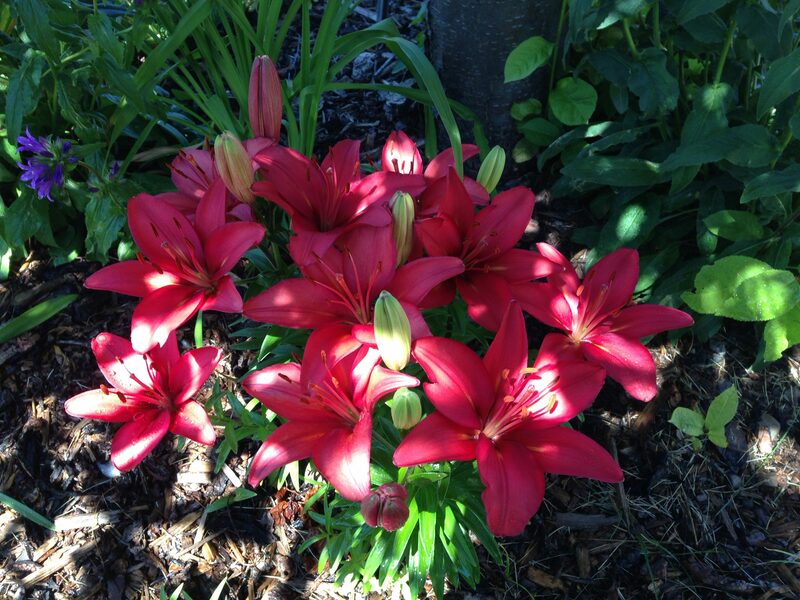 I have been watching these lilies come up for a few weeks now, trying to guess what colour they will turn out to be. No, I have not gone squirrely and forgotten what I have planted (that is for another day! ), but is one of the fun things yet to discover as we move through the first growing season in our new home. This week they showed themselves to be a beautiful red colour (though they look a bit more pink in the photo) – surprises still exist! 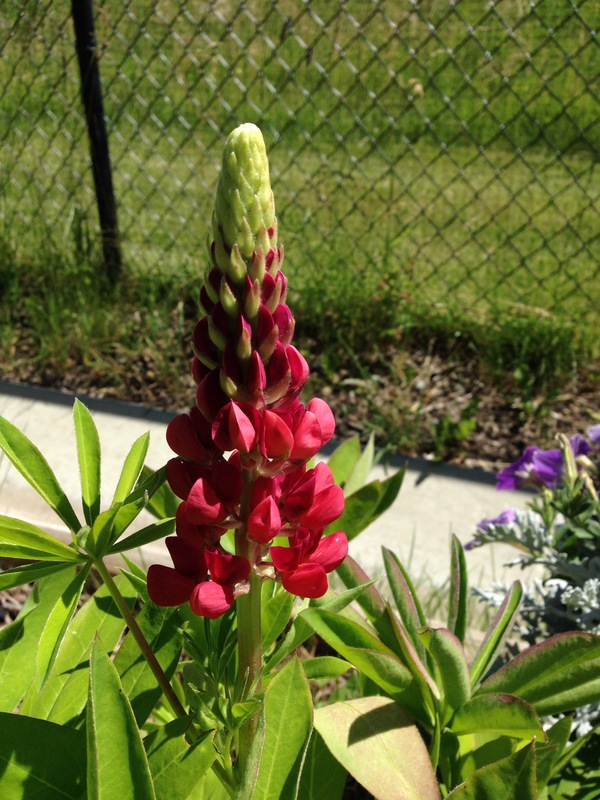 The last to bloom of the lupins I planted in spring. I am really pleased with this “Russell the Pages, Carmine Red” variety. 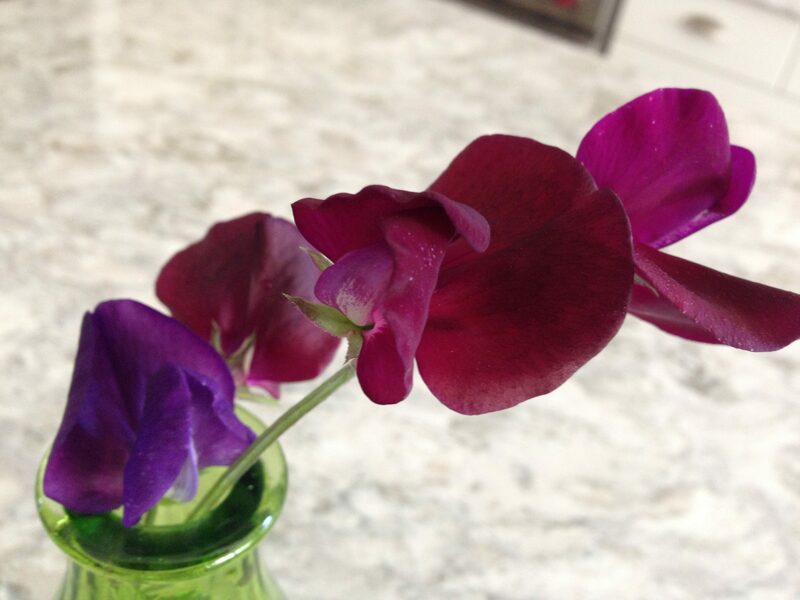 My sweet peas are starting to bloom! Aptly named, they are indeed a “Little Bit ‘O Magic” and smell very nice. As my new perennials are still small, I used some filler boxes to cheer up the space as they grow. I like how this one done in silver and pale purple is filling out nicely. 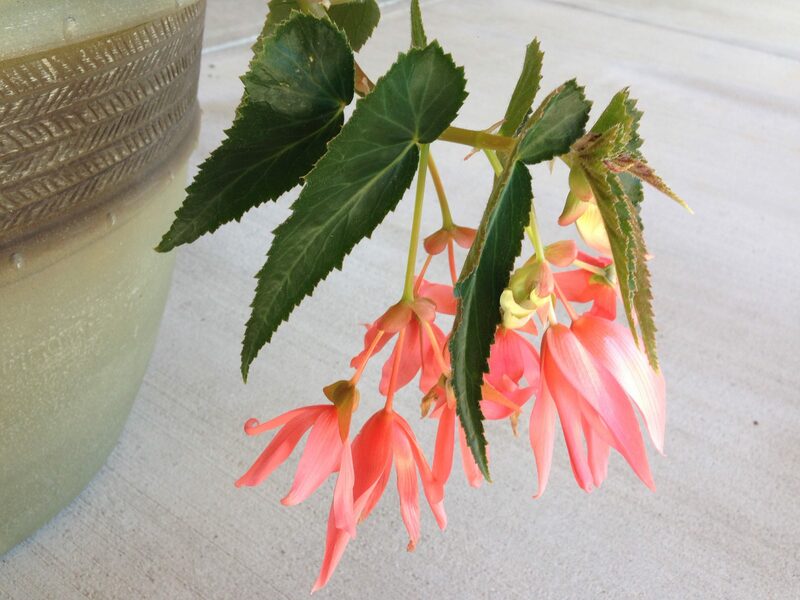 These hanging begonias are a treat, and perfect for the shady area on the patio. 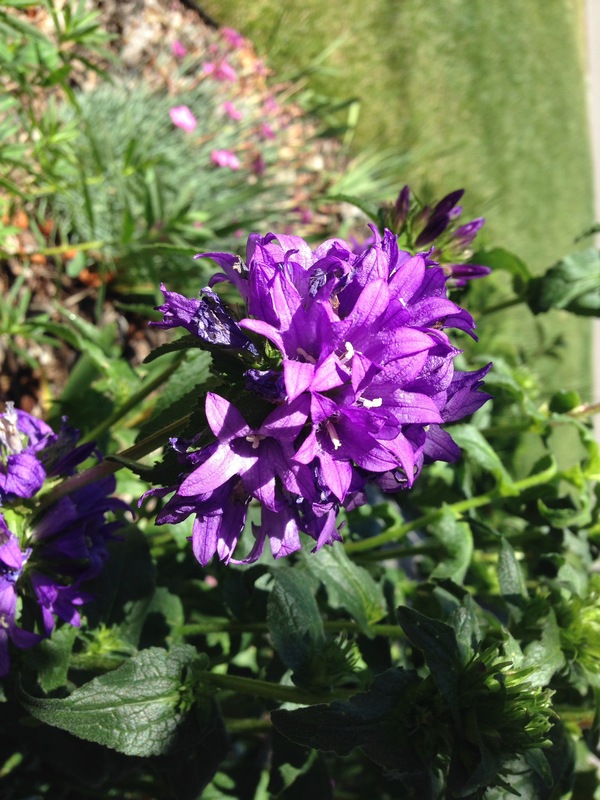 Clustered bell flowers are another of the surprises in the flower beds, though I had these pegged by the leaves early on. 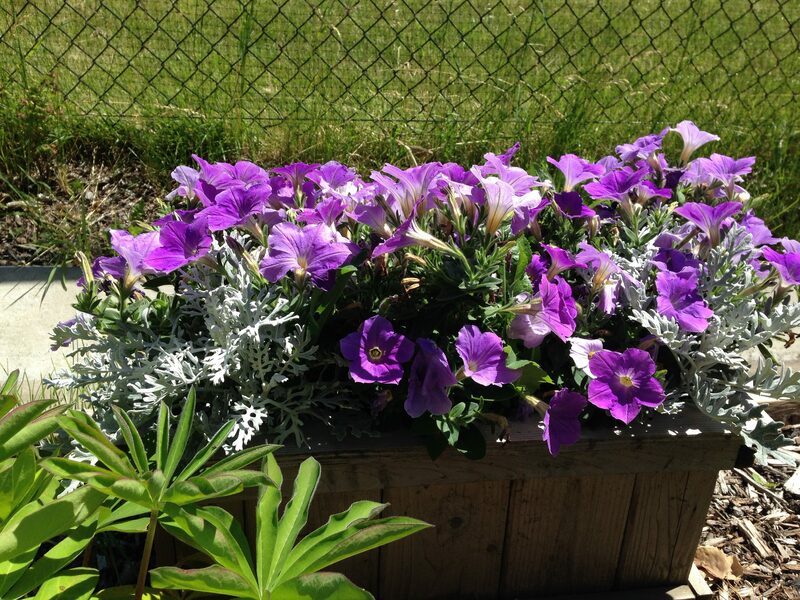 I like the vibrant purple colour, so they are a welcome addition to the garden.